What would you need to know in order to respond to her? 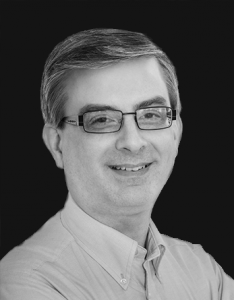 How should Christians understand the nature of emotional experiences like love and happiness? What role do they—and other emotions—play in the Christian life? In “The Emotionally Wise Pastor, part 1,” we briefly considered the value of identifying and expressing emotions in the context of ministry (for promoting spiritual growth). In this article we will sample the vast treasure Scripture provides for understanding how emotions function as part of God’s design and how their function can be distorted by our sinfulness. Of course, sin never has the last word in God’s world, and we will explore how redemption affects believers’ emotions more fully in later articles in this series. Emotions emerge from what the Bible calls the “heart” or the “inner person,” and as such, they are one expression of the values, goals, loyalties, and desires that shape and direct our lives.2 God’s evaluation of our lives centers on the condition or contents of our hearts.3 Consequently, we too need to be aware of the information provided by our emotions—and be willing to make changes as biblically mandated. Fear prompts a protective response. Thus, Solomon observed: “The prudent see danger and take refuge, but the simple keep going and pay the penalty” (Prov. 27:12). Anger prompts a response to eliminate something that is offensive. Thus, when David witnessed Goliath defiantly taunting the Israelite army and yet was unchallenged by the soldiers, he stepped up: “David said to Saul, ‘Let no one lose heart on account of this Philistine; your servant will go and fight him.’” Then “David said to the Philistine, ‘You come against me with sword and spear and javelin, but I come against you in the name of the LORD Almighty, the God of the armies of Israel, whom you have defied. This day the LORD will deliver you into my hands …’” (1 Sam. 17:32, 45–46). Joy prompts responses of gratitude and hope. Thus, David sang: “Praise be to the LORD, for he has heard my cry for mercy. The LORD is my strength and my shield; my heart trusts in him, and he helps me. My heart leaps for joy, and with my song I praise him” (Ps. 28:6–7). Shame prompts a response of self-reflective withdrawal. Thus, Paul advised the Thessalonians: “Take special note of anyone who does not obey our instruction in this letter. Do not associate with them, in order that they may feel ashamed. Yet do not regard them as an enemy, but warn them as you would a fellow believer” (2 Thess. 3:14–15). Sadness prompts both a resignation and a pause. There needs to be a reassessment of one’s life due to an actual or anticipated loss or to unrealized desires. Thus, Paul wrote, “I have great sorrow and unceasing anguish in my heart. For I could wish that I myself were cursed and cut off from Christ for the sake of my people, those of my own race, the people of Israel. … Brothers and sisters, my heart’s desire and prayer to God for the Israelites is that they may be saved” (Rom. 9:2–4; 10:1). Not standing up for Christ in a conversation with co-workers who are slandering Him would be an unrighteous fear, the “fear of man” (Prov. 29:25). In this case, the protective response occurs because there isn’t a proper trust in God (cf. Matt. 10:28–31). Berating your children because they come into a room talking loudly while you are watching TV would be an exhibition of ungodly anger (cf. Eph. 6:4; Col. 3:21). In this case, an attack is launched in a situation that isn’t offensive to the Lord. Rejoicing over the loss of an unpleasant neighbor’s pet would be an inappropriate response (cf. Prov. 24:17). In this case, the delight is over the pain of another person, which counters the “the royal law found in Scripture, ‘Love your neighbor as yourself’” (James 2:8). Not being ashamed or saddened about a lewd comment made about a classmate or co-worker. In this case, the response reveals a hardness of heart that is out of place for “God’s holy people” (cf. Jer. 6:13–15; Eph. 5:3–4). Earlier, I asked you to consider how you might respond to Tara. Responding to her will require understanding how two emotions—sadness and love—function in her life. Using the biblical perspective on the “heart,” we can say that the intensity of Tara’s distress right now is related to how dearly she held on to the prospect of a future with Derek as a husband. Sadness results when such treasured desires are lost. Sadness is not pleasant, but Tara can be encouraged with two intertwined truths about it. First, the sadness doesn’t have to continue forever in her life. Second, she can use her sadness to be reminded of key truths in her life. As she processes these truths over time, the intensity of the sadness will fade. To learn from her sadness, Tara can use questions such as the following. She probably would benefit from answering these questions by herself first (perhaps writing responses over a period of a few days) and then talking through them with a trusted female friend. How soon into the relationship did she think about marriage to Derek? For whatever length of time Tara nurtured that possibility, she had increased its importance for her life. Did Derek say or do anything that started such thoughts? Tara’s sadness will be proportional to Derek’s encouragements about the possibility of marriage. However, if he did not offer those encouragements, answering this question could bring that fact to light for her. Had she entertained such thoughts about any previous boyfriends? If so—and assuming she did not get married to them—how did she deal with those relationships ending? Answering these questions might remind her of strategies that have helped in the past. How has she “wrestled” with God since the breakup? How has the breakup affected her prayers? Has it affected her view of God? Has her view of God become more or less biblical? These questions remind Tara that in the final analysis, it is to her Lord that she must go with her heartache. She might have lost sight of Him in the excitement of her relationship with Derek, and if so, meditating on these questions can refocus her attention. Ironically, Tara’s sadness over her breakup with Derek reinforces for her that God designed her for relationships with Himself and others. Therefore, as she processes her sadness, Tara will also benefit from reaching out to serve others and fellowshipping with others. Finally, Tara’s sadness highlights how all Christians must live in this world prior to the Second Coming: with patient longing (Rom. 8:18–25). The longing ultimately must be for intimacy with the Lord (which He has promised to bless), and with that focus, she can be motivated to live for Him. A portrayal of romantic love: You cannot read the Song of Songs and not feel the excitement of the woman seeing her lover coming over the hills (2:8–10) or sense the passion when she invites him “into his garden” (4:16). And just because of the strong feelings drawing these lovers together, you cannot help but feel the agony in her dream about being separated from him (5:5–8). A description of platonic, brotherly love: First John 3:17 clearly refers to a feeling aspect to the love that a Christian shows to a brother or sister in need. Of course, that felt compassion can be ignored, and so John does follow up with “Dear children, let us not love with words or speech but with actions and in truth” (1 John 3:18). John sets the expectation that God’s love in us will move us to act in ways that alleviate others’ needs just as God’s love moves Him to alleviate our needs. This feeling aspect of love does not change as quickly as the cognitive (thinking) aspect. So, Tara’s experience of anguish right now is not unusual, and to answer her question “What kind of Christian woman am I?” we need to say she is “normal”! Of course, she needs to be careful, since unrequited love can tempt her toward bitterness, but to experience anguish over loss cannot be avoided. The biblical data surveyed above support a claim made by proponents of emotional intelligence: “The person who is able to understand emotions—their meanings, how they blend together, how they progress over time—is truly blessed with the capacity to understand important aspects of human nature and interpersonal relationships.”8 For believers, the “blessing” is that we are better able to fulfill God’s expectation that we love others as He first loved us. 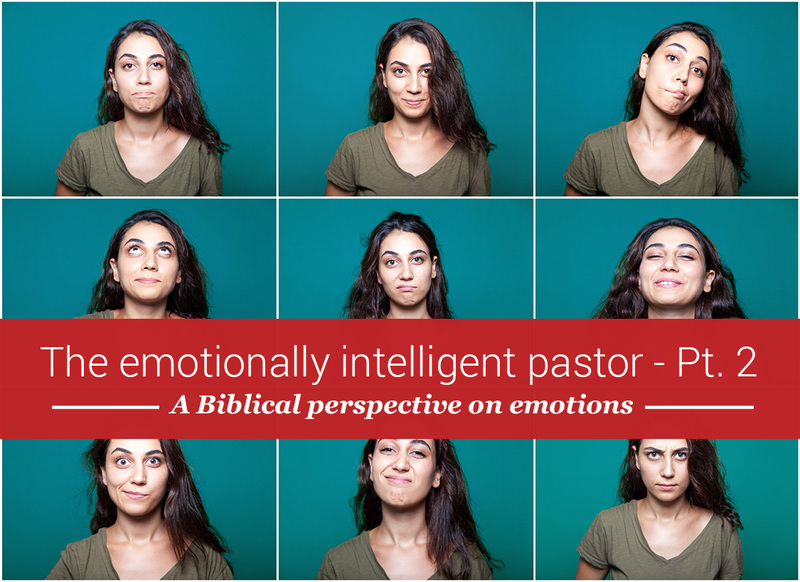 Be sure to read the next article in Dr. Forrey’s series on how emotional intelligence makes you a better pastor, as he explores the role of emotions in the Christian life and how pastors and other ministry leaders can address emotion-related questions in their efforts to foster spiritual growth in themselves and others. This definition is based on the work of John Mayer, Peter Salovey, and their colleagues. See, e.g., John D. Mayer and Peter Salovey, “What Is Emotional Intelligence?” in Emotional Development and Emotional Intelligence, ed. Peter Salovey and David J. Sluyter (New York: Basic Books, 1997), 3–31. See, for example: Gen. 42:28; Deut. 20:5–8; Ps. 25:17; Prov. 17:22; Song of Songs 3:11. See, for example: 1 Sam. 16:7; 1 Chron. 28:9; 2 Chron. 6:30; Jer. 17:1–10; Ezek. 36:26; Mark 7:20–23; Acts 1:24. Such emotion-related expressions are examples of “phenomenological language”: phrases suggested by people’s experience. Facilitating change in emotions as part of spiritual growth will be the topic of the fourth article in this series. Matt. 5:43–47; Rom. 12:14; 1 Pet. 3:8–9. See Matthew A. Elliott, Faithful Feelings (Grand Rapids: Kregel, 2006), 135–164. Peter Salovey, John D. Mayer, and David Caruso, “The Positive Psychology of Emotional Intelligence,” in Emotional Intelligence: Key Readings on the Mayer and Salovey Model, ed. Peter Salovey, Marc A. Brackett, and John D. Mayer (Port Chester, NY: Dude Publishing, 2004), 66.